Autonomous mobile robots are no longer a technology of the future. They are in use in manufacturing and distribution centers right now and operations are starting to see the real benefits of small flexible automation solutions. So how are supply chain operations making use of these flexible solutions? Supply chain operations are starting to see the real benefits of augmenting their workforce with autonomous mobile robots. These robots allow your workers to spend more time doing higher level tasks and less time walking around the warehouse. 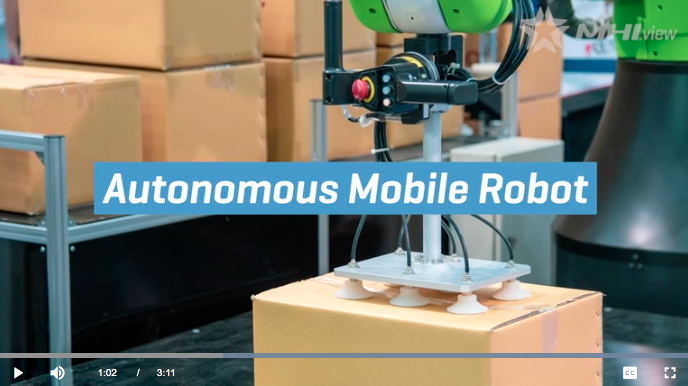 View the full video to learn more about applications for Autonomous Mobile Robots.